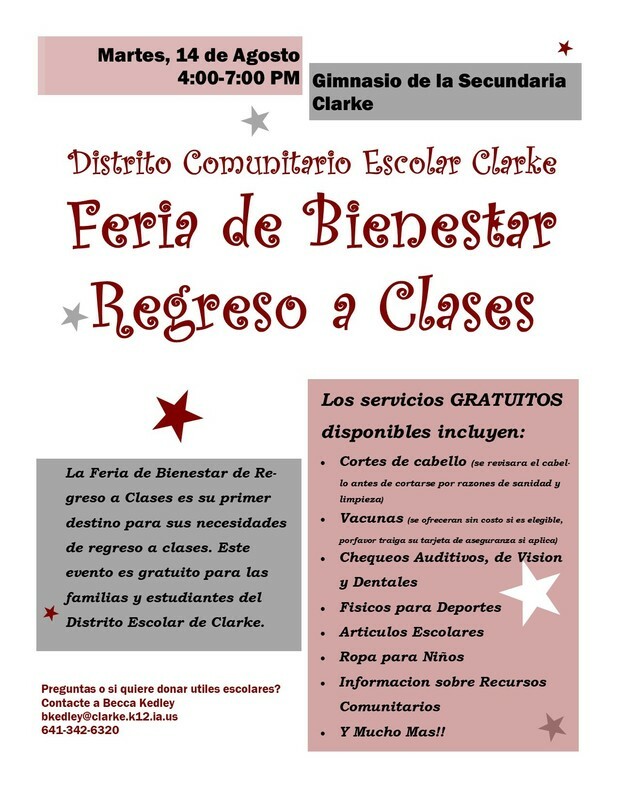 Back to School Wellness Fair Aug. 14th! 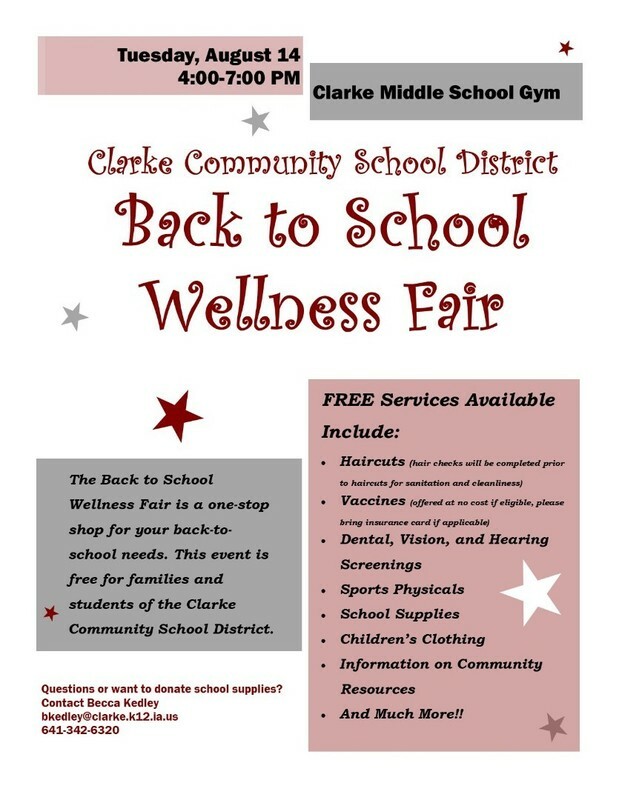 Back to School Wellness Fair open to all Clarke families on August 14th from 4-7 in Middle School gym. Free haircuts, dental, vision, & hearing screenings, sports physicals, children’s clothing, vaccinations (for those who qualify) and more!